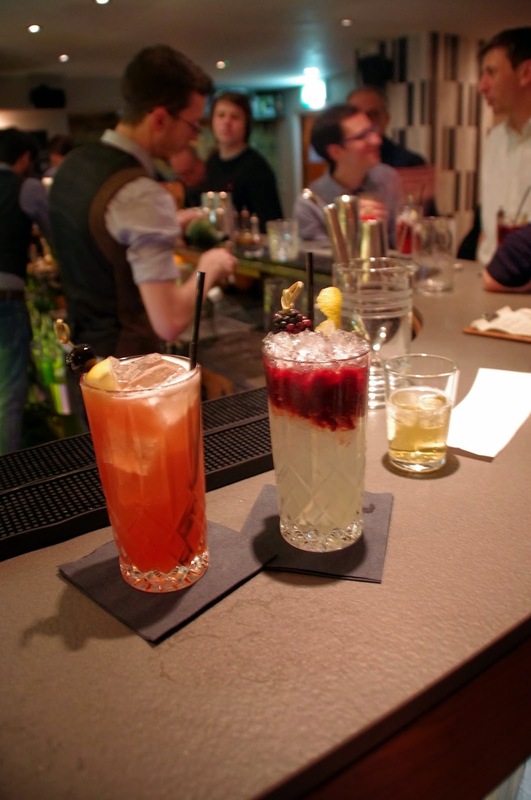 214 Bermondsey Gin & Cocktail Bar is located directly below Antico Restaurant on Bermondsey Street in London. Intimate, relaxed, elegant and friendly they serve over 80 gins and and boast the most impressive cocktail menu I’ve ever seen! 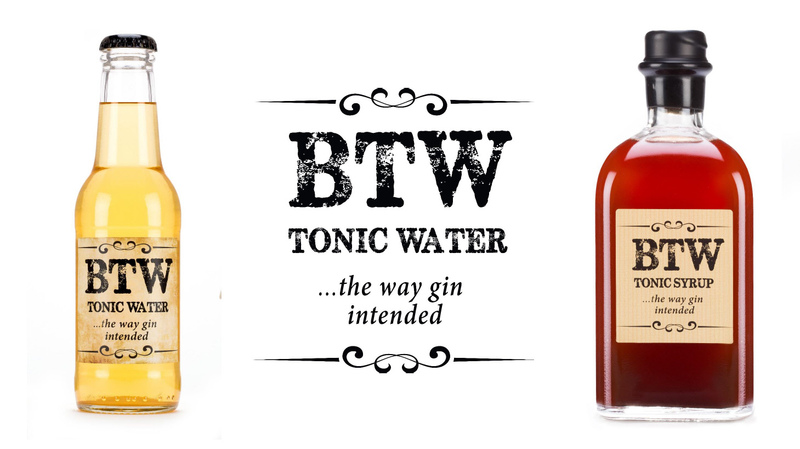 They are also the home of the new and exciting hand-crafted BTW Tonic Water. After the most incredible Italian meal upstairs in Antico Restaurant we headed downstairs to 214 Bermondsey, excited for our Gin & Tonic tasting flight experience that they are famous for! 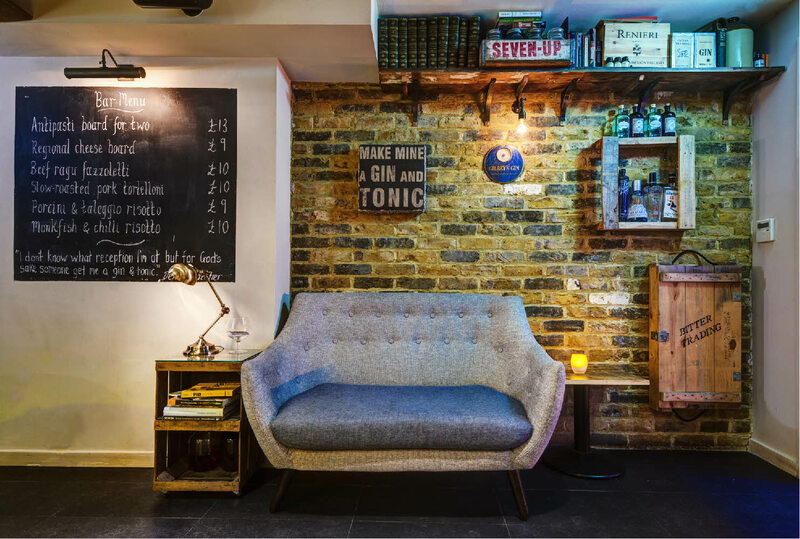 The bar is uniquely and beautifully decorated and has a relaxed yet stylish feel. The lighting and bottles, quotes and lovely knick knacks adorning the walls all created the most intimate and lovely atmosphere. We settled in and made ourselves comfortable at the bar where bartender Dave was quick to welcome us and look after us for the evening! 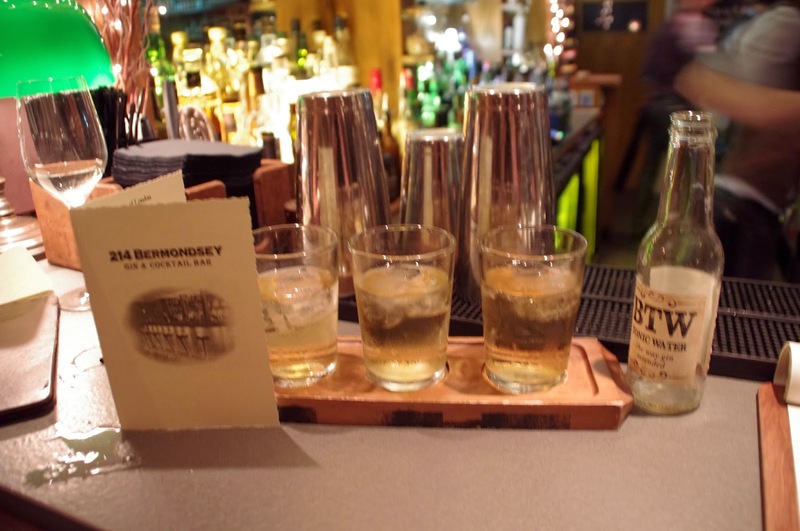 214 Bermondsey is famous and well known for their handcrafted tonic water, BTW (Bermondsey Tonic Water). This delicious, natural tonic water allows for the subtle flavours of each & every gin on their extensive menu to shine through, without masking any of the flavour which a lot of other tonic waters do. Both Nina & I loved BTW. It was smooth, fresh and crisp with only the natural quinine flavours that derive from the quinine and Cinchona bark which is sourced from Peru. We loved the natural flavour that contained none of the bitter, chemical flavours that other tonic waters usually have. Firstly we choose one of the flight options which are listen on the menu. We opted for the ‘Tour of London’ being two Aussie girls in this exciting city! Little Bird (Peckham Rye) – super light, lots of grapefruit & orange citrus. 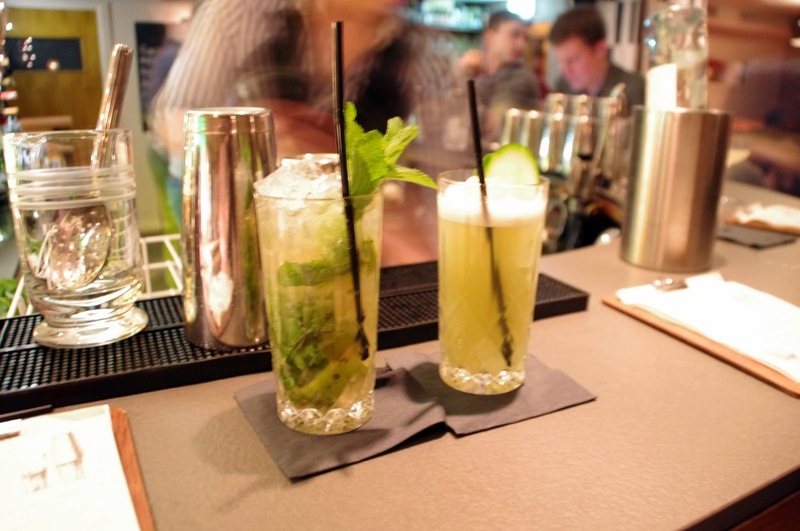 Half Hitch (Camden) – bursting with flavour, think earl grey from the rich bergamot. We were then given three mini Gin & Tonic’s which were listed on the menu but we didn’t know which was which and had to try them all and make up our mind up about which is which! All was then revealed when we opened our magical, sealed envelope which gave us our answers! 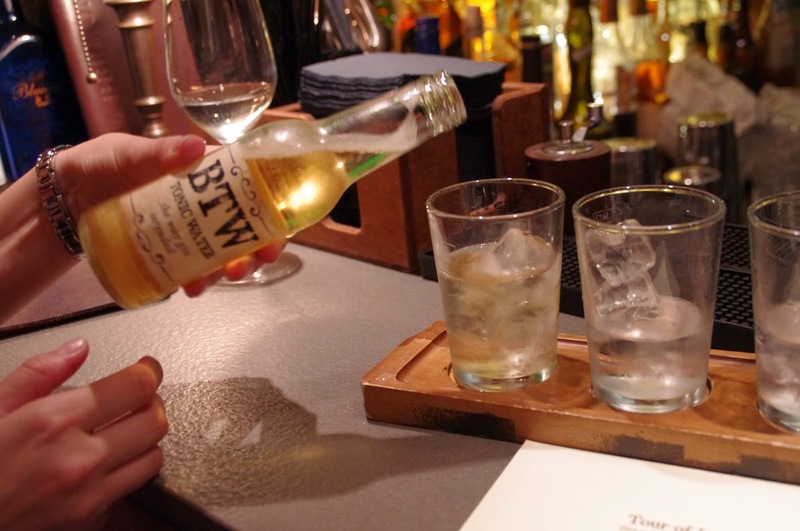 The BTW tonic water truly allows the flavours of each of the gins to shine through without masking any of the gin flavours. It is an awesome concept & we loved guessing which was which! It a must do for any gin lovers out there! 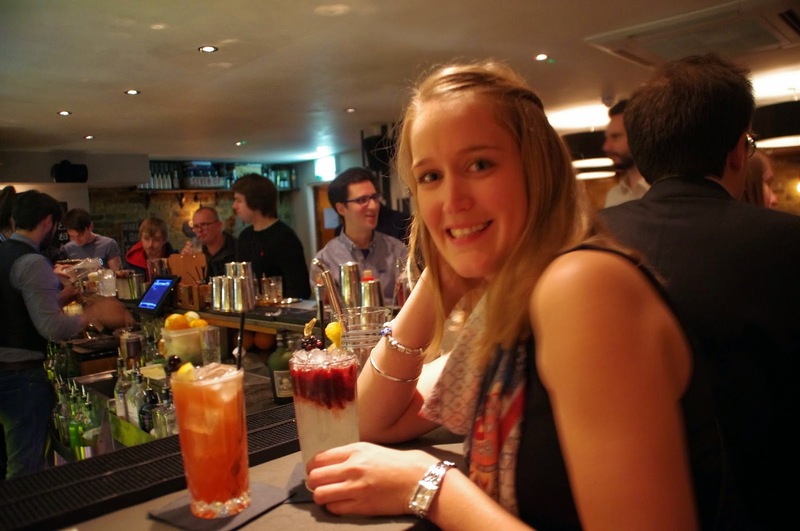 Having had so much fun during our ‘flight’ and whilst sitting at the bar we had witnessed the skill of the bartenders whipping up concoctions of delicious looking cocktails we couldn’t help ourselves but stay and try a few cocktails! While I chose the ‘Joan Collins’, Haymens sloe gin, lemon, sugar, BTW & soda. 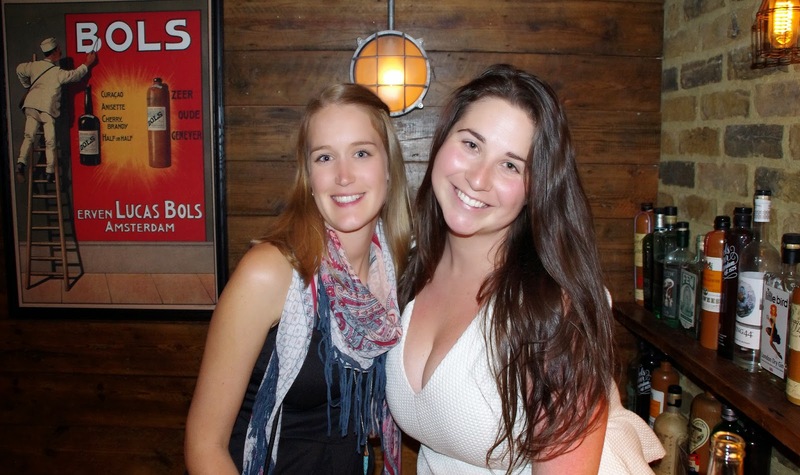 The bar was busy and we were impressed by the speed & quality of service we and patrons around us received! The bartenders were friendly, knowledgeable and it was evident truly love making cocktails! bitters. It was refreshing, savoury, unique and absolutely delicious! We had incredible night at Antico and 214 Bermondsey. 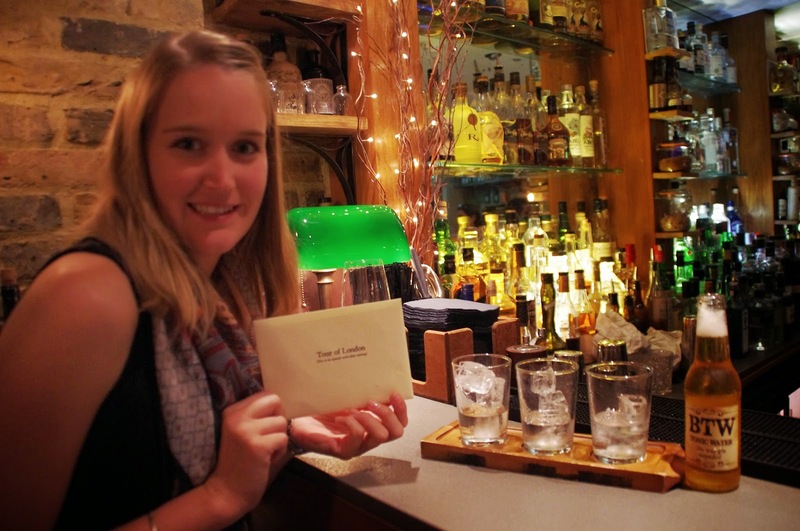 Their extensive range of gins is impressive, we absolutely loved the BTW and our Gin & Tonic Tasting Flight and to top it off our cocktails were the best of the best! 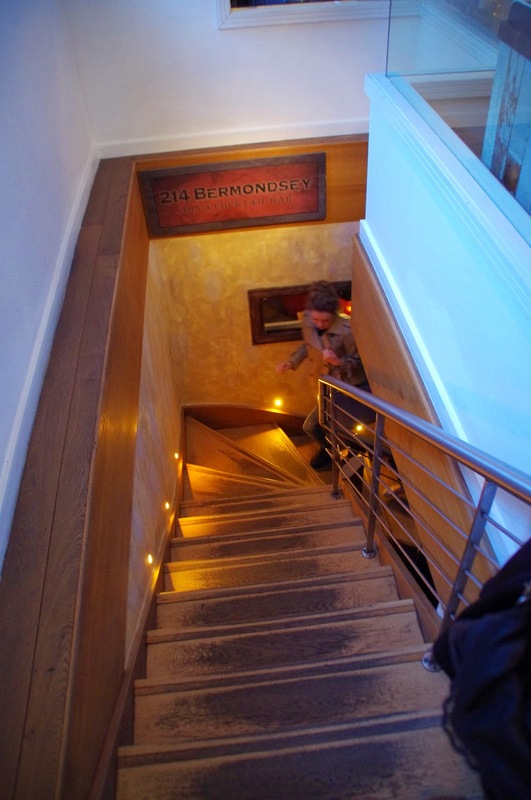 The Aussie Flashpacker was invited to review 214 Bermondsey.